To add a client, click the Contacts tab from your home page. Then, click Add client. 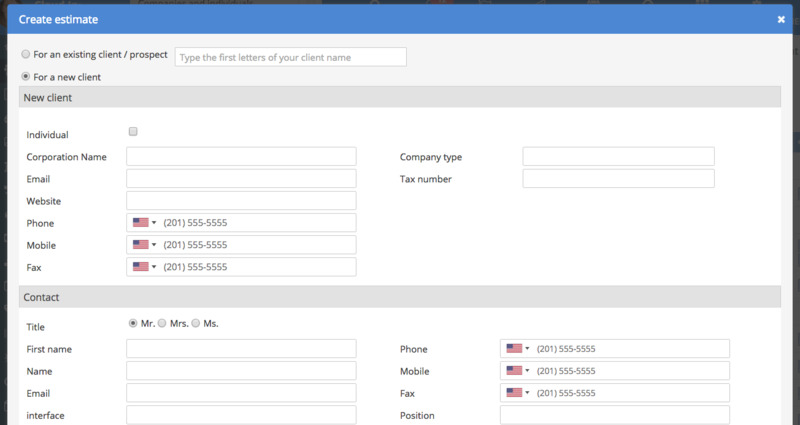 For each client, you need to fill in all mandatory fields. Once your client is created, you can add as many addresses and contacts as required.